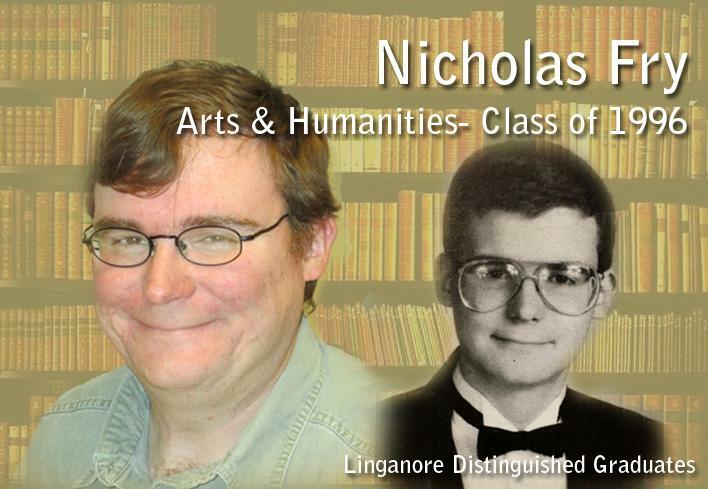 Nick Fry, who graduated from Linganore in 1996, is the 2016 Distinguished Graduate honoree in Arts & Humanities. Throughout his high school career, he favored and excelled in history, and now he works at the John W. Barriger III National Railroad Library in UMSL, (University of Missouri-St. Louis). During his high school career, Fry participated on the Academic Team, and they won the county championship four years in a row. Fry attended UMBC and Drexel University, where he ultimately earned a masters degree in history. He researched and wrote articles for an encyclopedia about railroad history. He is currently trying to get more documents out to students to see in person and learn from at the library. Mrs. Natalie Rebetsky, a former member to the DGO, (Distinguished Graduate Organization) committee, encouraged Fry to apply. She told him that she believed that he was worth it.